It is linked to press to finish pieces griping, lifting, moving, transferring, down, up and back circulation actions, and can adjust transferring distance and speed by servo motor. The gripper is with sensor to make sure each griping action efficiency and assembly by safety sensor control device to make sure it can finish each actions before press working. 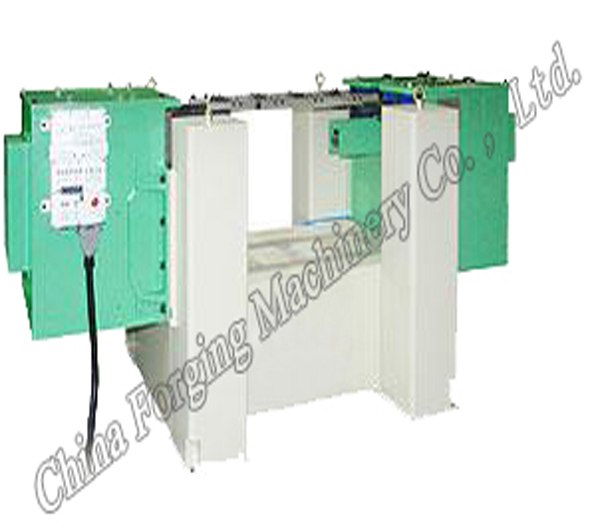 The middle beam can be took out, which makes gripper exchanging and die exchanging easy. On the middle beam there is lubrication, cooling and spray device, and the lubrication spray position and time, gas spraying starting time and time can be preset and adjusted reasonably. It can also be matched with constant pressure graphite emulsify pump and gas hydraulic automatic spry control system to make sure press die cooling and lubrication. Using ball-bearing lead and crankshaft-connecting rods to avoid transferring difference, to realize parts transferring with high precision and speed. It can be suitable for all kinds of press above 4000 ton, with wide applications.